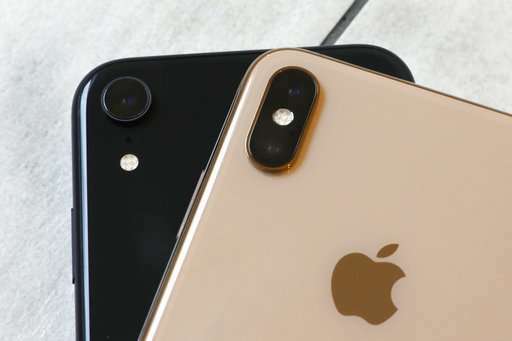 Apple offers you a simple trade-off with its new iPhone XR, the middlebrow cousin to the top-of-the-line iPhone XS. On one hand, the XR lacks the high-resolution screen and dual-lens camera found on the XS. On the other, you'd save at least $250 and still get most of the other cutting-edge features found on the more expensive model. Based on several days of testing, it looks like Apple made the right cost-cutting trade-offs with the XR, which starts selling Friday for about $750. The standard XS starts at about $1,000; its supersized cousin, the XS Max, goes for $100 more. 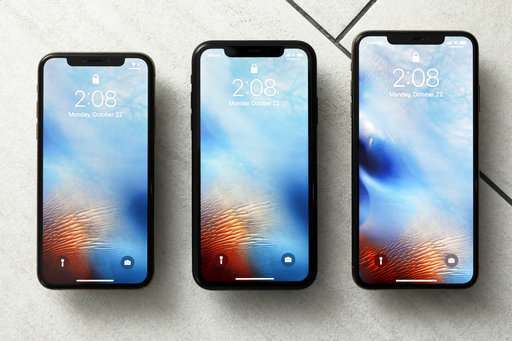 The XR falls between the XS and the Max in size. Its screen is about 7 percent larger than the XS and 12 percent smaller than the Max. But the XR is closer in width to larger Phones such as the Max and older Plus models, so anyone upgrading from an iPhone 7 or 8 will have to get used to a new grip. 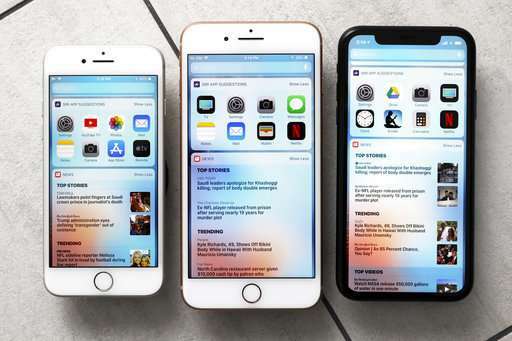 As with the XS, the XR's display extends close to the phone's edges, translating to 45 percent more screen space than the iPhone 8 and 6 percent more than the 8 Plus. The XR and the XS both use facial recognition to unlock the phone, and both have a notch at the top for sensors, similar to shades on a car's windshield. The notch will take getting used to. Speaker quality on the XR and the XS were comparable, and the mics on all new models offer stereo recording for the first time. The phone displays, however, are different, and those disparities can make a difference. The screens on both XS models have better contrast and more vibrant colors than the standard LCD screen on the XR. Autumn leaves in the cartoon "The Secret Lives of Pets" stand out more, while greater hints of orange appeared in a space drama's rocket exhaust flames. Whites are whiter, making the screen appear brighter even though it's not. The XR screen also falls short of full high definition, unlike the XS displays, although it can display video at 720p quality. Apple says that with LCD screens, higher resolution drains the battery faster, a trade-off that's minimal with the XS because its screen doesn't need a backlight. That said, the differences are often hard to spot, even with the phones side by side. Where quality really matters, you'll probably want a bigger screen such as a tablet or a TV anyway. Although the Max has the largest battery in an iPhone, the XR was typically on par with or exceeded the Max in battery performance when viewing video, at least at lower or medium brightness. In any case, either phone should give you enough battery life for routine use. Cameras improve with each generation, and the new iPhones are no different. For many shots, the new iPhones blend four exposures rather than two, allowing for better lighting balance and more detail. In some shots taken in suboptimal conditions—against direct sunlight—the XR still showed trees in dimly lit areas, while last year's iPhone X produced pitch back. The new cameras also have better focus and low-light capabilities. What's missing in the XR is a second rear lens for double the magnification. Instead, the XR uses software zoom, which reduces quality. Of course, the standard iPhone 7 and 8 didn't have a second lens either, although their Plus models did, as did the iPhone X. Both XS models also have two lenses. Despite lacking a second lens, the XR lets you blur backgrounds in some shots, a feature many phones are now getting. The XR does this with software, though it works only with people in the foreground, while the XS can do statues and monuments. Two more points of comparison. The XS has slightly better water resistance—good to a depth of 2 meters (2.2 yards), compared with just 1 meter on the XR. But the XR offers a budget storage-upgrade option: $50 for 128 gigabytes (up from 64 gigabytes in the base model). Both XS phones also start at 64 gigabytes, but their cheapest upgrade is $150 for 256 gigabytes. The only knock is the XR's size. Though it's fine for people with adequate pockets or bags, not everyone wants a phone that's nearly as wide as the Max or the Plus. Perhaps Apple will one day design a smaller XR and revive a trend of offering both standard and larger versions for each major model.